New Haven firefighters battled a Thanksgiving Day apartment fire . 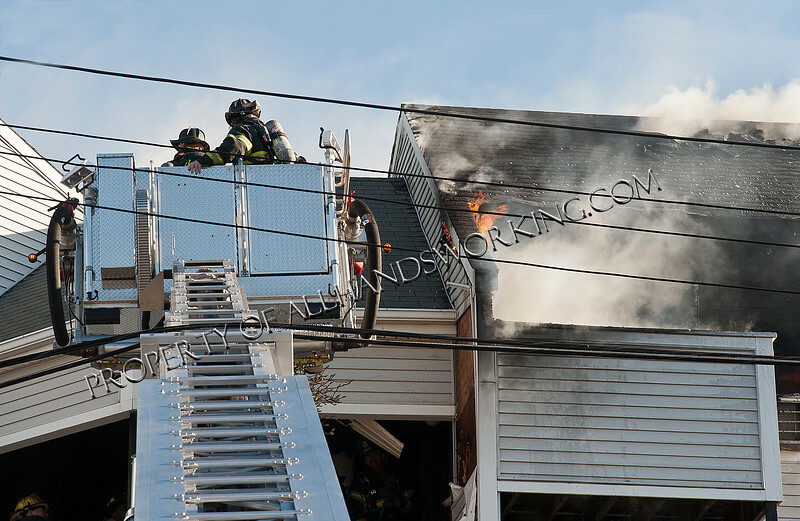 11/28/13 New Haven, CT - New Haven firefighters battled a mid morning apartment fire Thanksgiving morning. First due Engine 5 arrived and transmitted the "73". A second alarm was quickly transmitted due to the high occupancy and common attic space of the complex. Firefighters made a aggressive interior attack and held the fire to the apartment of origin. Several people were displaced, however none were injured.